West Ham United have made a decent start to the season all things considered, but this is an ambitious club that should be setting their sights far higher up the table than 13th. To get there they will, inevitably, need further reinforcements to a playing squad that was given a major facelift this summer. Quality not quantity will be the order of the day for the Hammers in future transfer windows and, when you talk about Premier League quality, there are few better than Juan Mata. Yes, West Ham should begin laying the groundwork for an audacious swoop for Mata come the end of the season. The Mail reported on Friday that Manchester United are yet to offer the midfielder an extension on his £140,000-per-week contract which expires at the end of the season [Source: Spotrac]. The 30-year-old gave a reminder of his quality with a phenomenal free kick goal in United’s 2-1 win over Juventus on Wednesday, but that was seemingly not enough to convince the club of his worth. 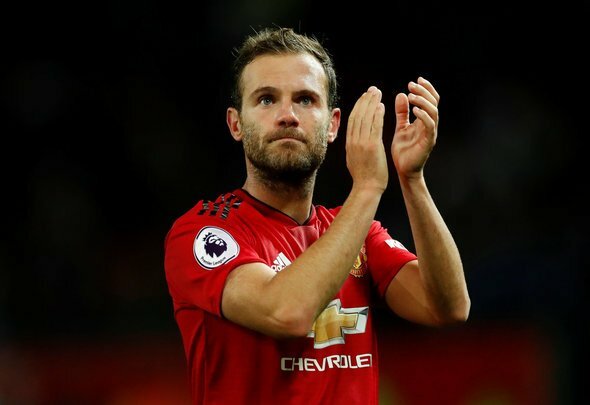 The Mail’s report states that Mata’s preference is to remain at Old Trafford, but that if that doesn’t come to fruition he will look to stay in the Premier League. There will naturally be fierce competition for a player of Mata’s quality, but this is the sort of signing that could take the Hammers to the next level. The London Stadium has become a far more attractive destination in recent months following the acquisition of Manuel Pellegrini as manager and the recruitment of players like Issa Diop and Felipe Anderson. Mata could see West Ham as a team on the way up, who he could join at the formative stage of their success. The Spaniard could then help push them onto greatness with his undoubted talent. Players of Mata’s calibre don’t become available every day, and the Hammers should be doing everything they can to convince him to swap Manchester for London.